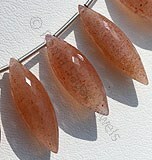 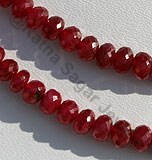 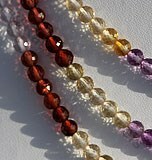 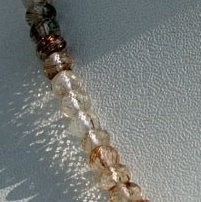 Derived from the Latin word Rutilus referring red, Rutilated quartz is also referred as Red Cross Vein Ore. 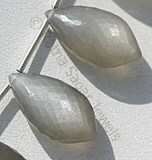 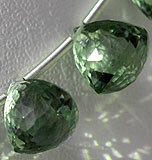 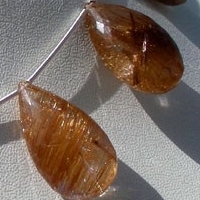 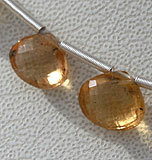 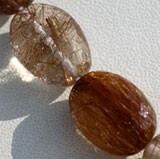 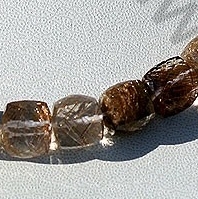 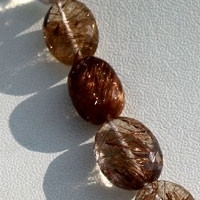 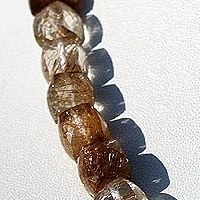 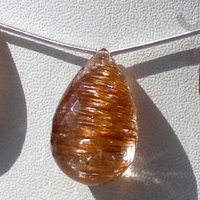 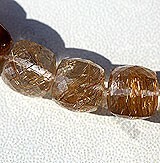 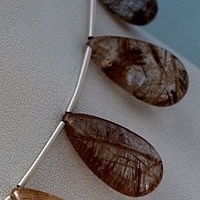 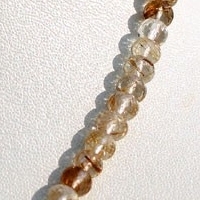 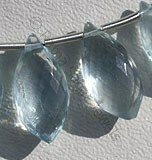 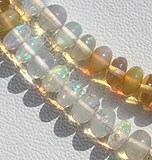 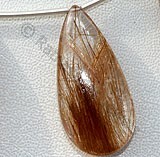 The perfect mix of rutile and quartz make this gemstone beads a precious gemstone in its segment. 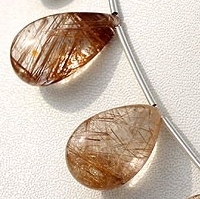 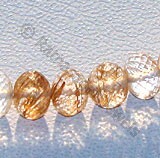 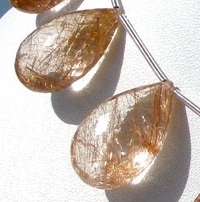 Recognized with different names as sagenite, angel hair or Venus hair, Copper Rutilated Quartz Beads are small needles similar to crystals, of different colors for instance red, black, or brassy yellow. 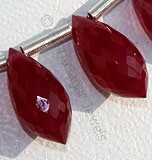 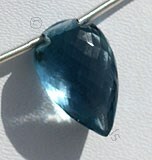 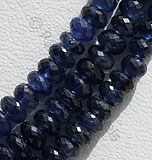 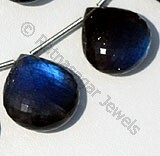 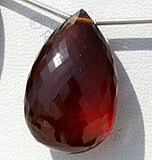 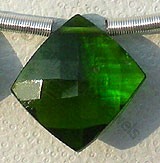 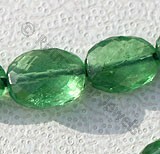 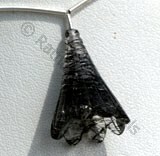 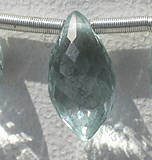 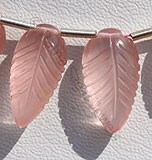 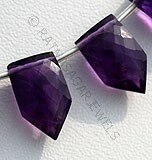 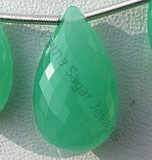 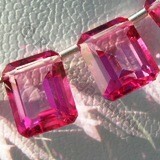 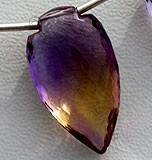 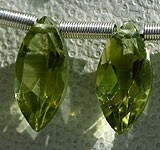 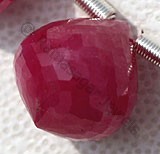 Normally this gemstone is extracted in Australia, Brazil, Kazakhstan, Madagascar, Norway, Pakistan and the United States. 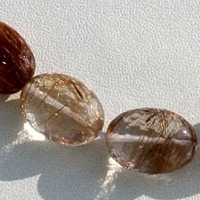 An interesting fact about Copper Rutilated Quartz Beads is that apart from being an impressive gemstone bead it is enriched with various mystical and healing powers which are not found in any other gemstone. 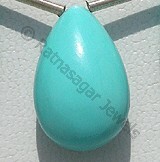 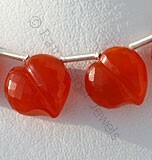 The worth mentioning feature of this gemstone is that it relaxes the person after working hard throughout the day. 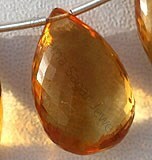 It also keeps the user encouraged even in tough phase of his life. 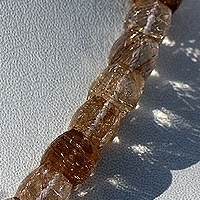 It eliminates negative energy and helps in removal of threats, phobia and anxiety. 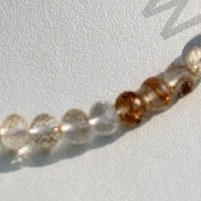 Apart from this it is also blessed with various physical properties and helps in controlling the problem of impotence and infertility. 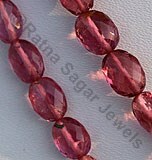 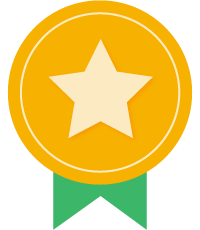 It helps in enhancing creativity and widens users thinking capabilities. 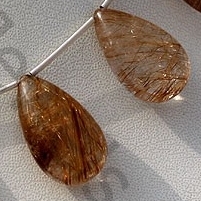 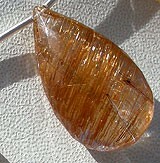 Rutilated Quartz is a variety of natural transparent quartz consist copper rutile hairs range from parallel to crisscrossed, possess property of transparent with vitreous luster in micro cut, Rondelle shape. 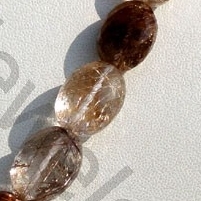 Rutilated Quartz is a variety of natural transparent quartz consist copper rutile hairs range from parallel to crisscrossed, possess property of transparent with vitreous luster in smooth polish, Flat Pear shape. 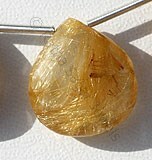 Rutilated Quartz is a variety of natural transparent quartz consist copper rutile hairs range from parallel to crisscrossed, possess property of transparent with vitreous luster in micro cut, Cube shape.